Personal chauffeur service offering private drivers to safely transport you in the comfort and familiarity of your personal vehicle to meetings, medical appointments, night clubs, restaurants, airport, and even other cities . A Personal chauffeur at your disposal whenever you desire provides a unique, cost effective transportation option. We also provide a wide range of luxury chauffeured vehicles including sedans, SUV’s, Limos and Buses. Make an Impression – provide guests & clients a truly memorable experience by reserving a personal chauffeur.Increase Productivity – conduct conference calls, review & edit documents in route to your meetings, or work on a project.Enhance Client Engagement – cater to your clients with no distractions.Add Convenience – your personal chauffeur ensures vehicle detailing, minor maintenance & daily errands are accomplished while you work.Improve Nights On The Town – attend night clubs & other entertainment venues with an on-call personal chauffeur.Ensure Stress Free Commutes – a personal chauffeur lets you forget about the traffic, just relax and let us do the driving. Personal Drivers are an untapped resource Let us help you manage your busy schedule. You can receive superior personal driver services at very affordable prices – explore the possibilities. A designated driver is a lifesaver… in more ways than one. 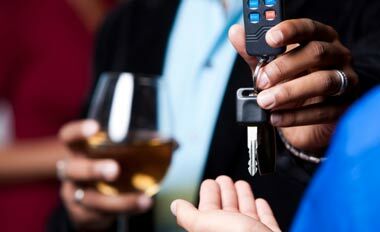 We’ll provide a designated driver to drive your vehicle so you can enjoy your evening with friends, colleagues, or that special someone. No last minute scramble & no DWI – just professional curbside service. Many are involved in a host of social activities, while others require some assistance in accomplishing daily tasks. A personal driver could be the answer you are looking for. Our personal chauffeur service offers a world-class travel experience each & every time. If the location you require service is not listed on our map of service areas, please give us a call to inquire; we have many qualified affiliates & partners that further expand our capabilities. Each driver is proudly dedicated to your comfort and attentive to your needs, adding a very personal touch that distinguishes us in our industry. I am delighted to have this opportunity to comment on my drive to San Antonio. I totally enjoyed being able to relax and get some things done, but most important I was most impressed with Valerie’s driving and the cautious and courteous way she drove. I will certainly recommend you and look forward to using your services again. Thank you. Hi Jeffrey, Thanks for the great service Malik rendered. The Consul General and the delegation were really pleased. Safeway Drivers, Just wanted to say thank you! Steve was the most professional driver I’ve EVER experienced in my long history of using services like yours. In the future, I will definitely request him for all of my events and nights out. Jeffrey, it was an absolute pleasure working with you guys.